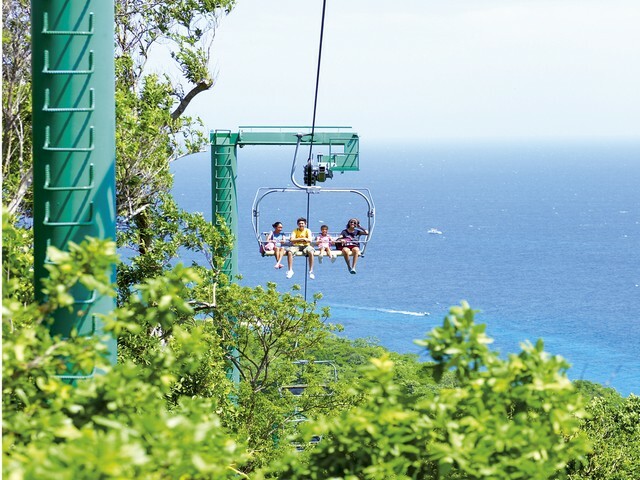 Your adventure begins on pickup from the Falmouth cruise ship port or Trelawny resort, for a leisurely ride along Jamaica's scenic and picturesque north coast to Ocho Rios Mystic Mountain Jamaica Rainforest. 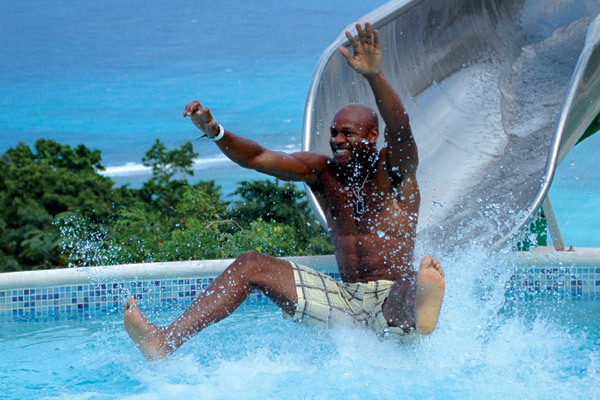 We had a amazing time in Jamaica! Our driver Bryan made the one hour ride each way to our excursion and back just awesome! The whole family loved him and will talk about the time we spent with him for years. We thought we were just getting a boring ride but that wasn’t the case at all . 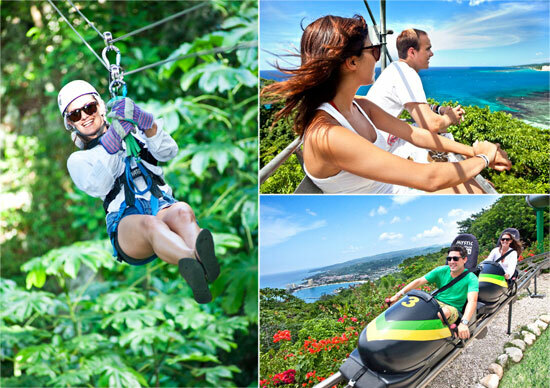 We had a wonderful tour of Jamaica each way. We learned so many cool things from Bryan. We also learned a lot about how much different their family lifestyle is than ours in a very good more simple way:) He was able to answer everyone’s questions perfectly. We feel we had a better time in the car with Bryan than our time spent at our excursion. Everything was great. The van was clean and our driver Michael was exceptional!! He didn't just drive us to our destination, he was a tour guide teaching us about Jamaica, the culture, industry and local customs. He was instrumental in making sure we had time for lunch at an amazing Jerk Chicken restaurant and getting us back to port safely!! I would highly recommend Jaital and Michael again!! Our experience with Jaital was great! Our driver was very nice and everyone in our group had a great time. If there was a negative the line was so long to get on the bobsled that there were a few in our group that wanted to go again but didn't think it was worth the wait. The Sky Explorer workers we so good too us and made it so much fun. We would for sure recommend your company to anyone you guys were GREAT! we had a fabulous time, our driver was very friendly & great conversationalist. He had no problem waiting for us while we were at Mystic Mountain & even took us to his favorite lunch spot. We asked him to do we could taste authentic Jamaican food, it was excellent! We would definitely use your company again, thank you, it was really a nice treat. 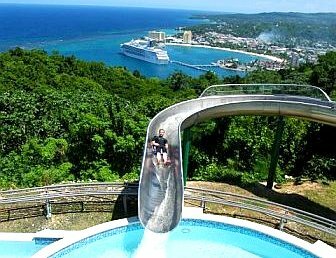 The experience we had in Jamaica was outstanding. 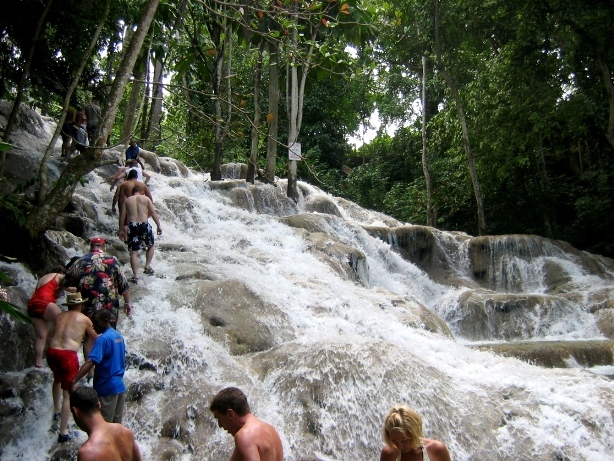 The tour to Mystic mountain and the Dunn’s River falls was beyond what we expected. The service from the online team as well as our driver was exceptional. My daughter was celebrating her 21st birthday that day and could not have been more happy with the day. Thank you so much for your tour, we will definitely recommend your services to others in Australia. We highly recommend Jaital! Our driver Jermaine was wonderful!! 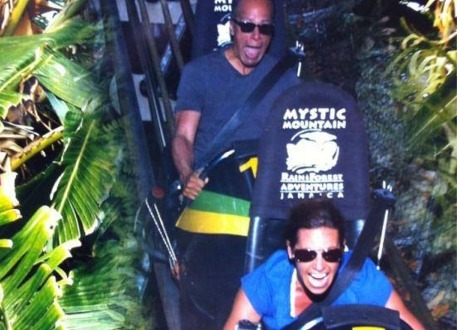 He took us to Mystic Mountain for the chairlift over the rain forest and the Bobsled ride. It was so much fun! Afterwards he took us to a local restaurant for delicious jerk chicken and other gorgeous and interesting places around the island!! So first off let me say that I'm not a person that takes the time write a review but for this company and how we were treated I will take that moment. 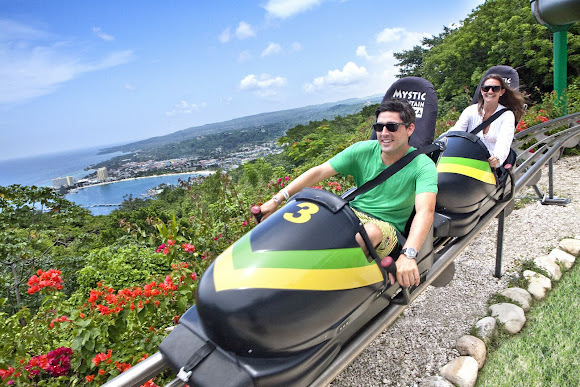 This was not only our first trip to Jamaica but also our first ever trip out of the country and with that being said everyone can understand that we were very limited on knowledge how to plan for anything out said of the resort. So I did what every American does ask Google... lol. Believe are not that Jaital wasn't the first company that pop up and I wish it was because it would have saved me a lot of time in researching a company. I started my basic search asking companies about their package and price quotes but what I soon found out is a lot of company didn't want to go out to where I was staying at. See our resort was the Melia Braco Village in Trelawny which is about 45mins to hour away from everything which I didn't know about. The first few things I face with other companies is that they didn't service that area, cost way more for limited actives and they take days to reply back to you. But not with Jaital from the very first day I contacted them to even asking for help with a vendor they were always there to help us every step of the way. 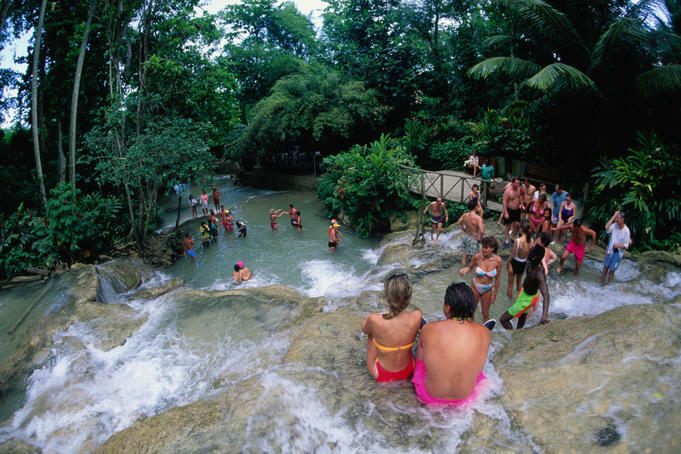 We had have 5 day 4 night travel plan I know too short for Jamaica only three days to discover the island but with Jaital you'll get that and so much more too. I have to admit I was a bit worry about booking with a company I didn't know and if they would be there at my resort because I read online of people other problems with other companies. I even email them two days before my trip to insure that they were stilling go to be picking us up at our resort and they assure me that they would be there and they were. 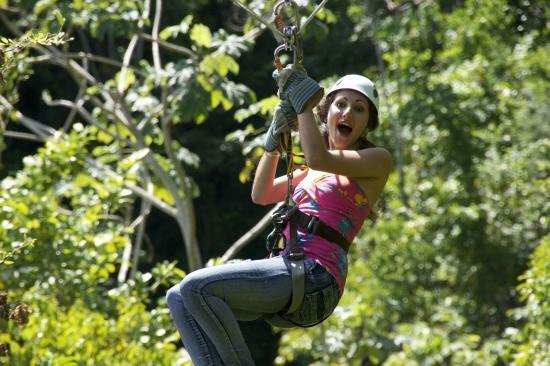 We had a lot plan for three day River Rafting, Luminous Lagoon, Mystic Mountain- Zip-lining, Bobsledding , natural trail tour and Best of Ochos Rio with Dolphin swim. The first day we got Paul and who guess that we couldn't image any of our days without him. If you plan had of time do yourself a favor and request Paul not only does love his job and like to teach people of the beauty of his country but he's also protect and caring making sure be never got into something that could harm us. Because he feels that everyone should see the beauty he make a few spot on the way to our actives to help get some great picture but also give a great history lessons of the land and its people. When we stop at Christopher Columns Park he give us a head up on the about the local vendors and that its okay to say "no" if you don't want to by anything don't feel pressure they he let us to take some pictures. Has I was walk down the park path I didn't see that my friend got a little side track and was being told by a one of the vendor men that if she follow him he would take her picture at the wall. Paul noticing this quickly walk up near by to let it be known that he was right there and watch her safety. We walked around with Paul not to far from us and told our pictures. When we got back in the car he explain that us having fun was important to him but our safety was important too. a bit later he was telling about where we were going and even told us that if we want he knew some great shops with good price to do some shopping at and he was so right key chains and shot glasses starting at $1.00 great gifts for love ones back home without break our wallets. We also explain to him that we got JMD and we didn't know how to use them. He explain the different and said that he normal doesn't go inside shopping with his clients but since we explain the currency we had that he would go in and make sure that no one rip us off and he did. was such a great sport and I don't know many man that handle women shopping well but Paul never complain and even help us pick out different things. We were so happy to see later that night for our Lagoon trip Paul was drive again and over the next few days we quick bonds with him. No matter where we went he was never to far always waiting and also told us where we would find him normal that was right there were our active ended. Jaital not only let us do everything we wanted to do but give us safety, history and fun with our driver Paul. few days later after our lagoon trip we still didn't have the pictures we purchase and the email the vendor gave us didn't work. We worry so I contact Jaital not know if they could help because the Lagoon company was a second source. Not only did they contract the company but they got the right information to contact them and we had our picture within a few hours. I can say without a doubt that when I come back to Jamaica that I will not using Jaital again but also requesting Paul too. If want to be taken care of in the right way make sure you use Jaital [TripAdvisor re-post]. We had a great time with our driver and guide. He is a good listener and remembered the specific tropical fruit I was looking for. He was able to spot it on the road side. I bought some and was able to eat a couple before boarding the ship. A wonderful way to end the day. Mystic mountain was one of the highlights of our trip. Chris was a terrific driver and guide. We would highly recommend this company and Chris as a driver. Trip was wonderful! The driver Renny was great and pointed out historical facts about Jamaica as we drove to our destination. Mystic mountain was great and beautiful. My children ages 20, 13 and 7 loved it!! Renny made sure we made it back to our boat in plenty of time. Great service and price. Highly recommend. We thoroughly enjoyed our Mystic Mtn tour. Our driver was very prompt and helpful. As a Travel Agent ,you can be sure I will recommend your company to any of cruising/land stay clients. Thank you so much. Great time! Loved loved loved our driver!